Why do you need Private Medical Insurance for you and your family? Peace of mind - to know that if the worst happens and you need consultations, a diagnosis or hospital treatment you will not have to join a queue. Choice - to know when and where you will be treated – no more sitting about in NHS waiting rooms! Flexibility - to choose your consultant and the hospital where you will be treated. Continuity - know that you will be seen by that very same consultant throughout your treatment and when he comes to see you, he won’t be accompanied by hordes of medical students! Privacy - you don't have to be on a large or mixed gender ward. Have your own room, with great facilities, even an ensuite bathroom! In short, health insurance means that your treatment will be as quick as it can be; in clean and comfortable surroundings; with great continuity of care and who doesn't want that! It’s all about YOU and your choices; and those things matter a great deal when you are not feeling your best. Find out what you can do for your family’s health NOW! Why pay for benefits that are no longer relevant to you and are designed for the young or those with families? When you are over 55 you have different priorities for your health than you did when you were younger or looking after a family. You don't want to pay for benefits you are never going to use, such as those relating to pregnancy or infertility. Health cover gets more expensive as you get older, so it is important to get the right advice to tailor cover to suit your circumstances at this time in your life. Some insurers restrict the age at which you can join or at which you can "switch". One call to us will point you in the right direction as to where to join for the first time or how to save money on existing cover. 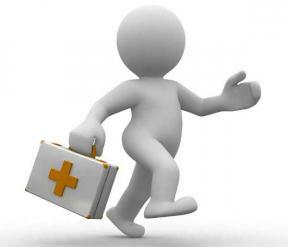 Don't want to get caught out by those everyday health expenses which seem to come out of nowhere? Plans from £1.50 per week. A cash plan is an affordable health insurance policy that is designed to be used. They provide little pots of money for everyday healthcare expenses such as an unexpected visit to the chiropractor, new glasses, or visits to the dentist. Some will also pay money if you are hospitalised overnight, pay sums towards consultants' or physio fees, or on the birth of a baby. There can be 15 separate types of benefits to claim although the plan is not designed to refund in full. There are many insurers and a varying array of plans available. Call us now and we will help you choose the best value plan you can afford. Finding it hard to get NHS dental treatment but worry about the cost of going private? Plans starting from £10 per person per month. Less than half the population bother with regular dental check-ups due to the escalating cost and the difficulties in find an NHS dentist. Just because it is NHS doesn't mean it is free either. A scale & polish would cost £16.50 and fillings £45.60. Dental Insurance allows you to claim whether you choose the NHS for treatment or decide to pay privately. As with all types of insurance there are a number of different providers and different levels of cover to choose. Find out how you can be reimbursed for looking after you and your family's dental health.